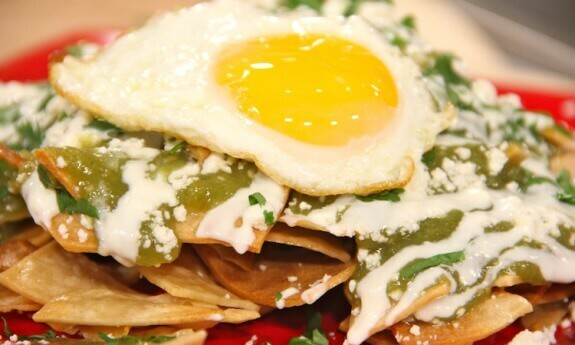 Chilaquiles are small pieces of tortilla cooked in green or red sauce and covered with cheese, raw onions, cilantro and sour cream. They are normally served with shredded chicken or eggs. Huevos Motulenos are fried eggs on tortillas with black beans and cheese, and other ingredients such as ham, peas, plantains, and spicy salsa. Molletes are made with a baguette sliced lengthwise and partially hollowed, filled with refried beans and topped with melted cheese. 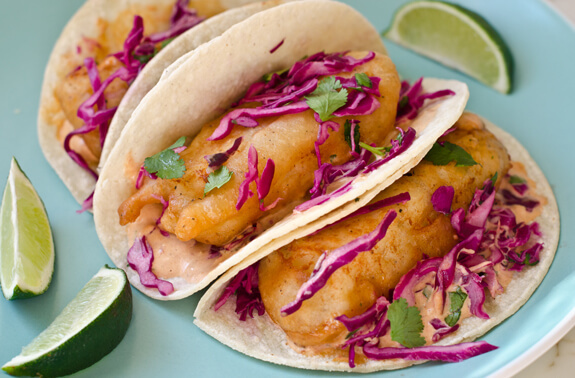 There is nothing like fried fish on a corn tortilla with chipotle sauce and cabbage. This is the perfect meal to eat by the pool. Ceviche is made from fresh raw fish and/or seafood cured in lime juice. In Mexico we usually add chopped onions, salt and cilantro and maybe some spicy chiles. This is a traditional soup from the neighboring state of Yucatan. It’s made from chicken broth but what sets it apart is the lima (a lime-like fruit native to the area) and the xcatic, a local spice. Tikin Xic is also from Yucatan. 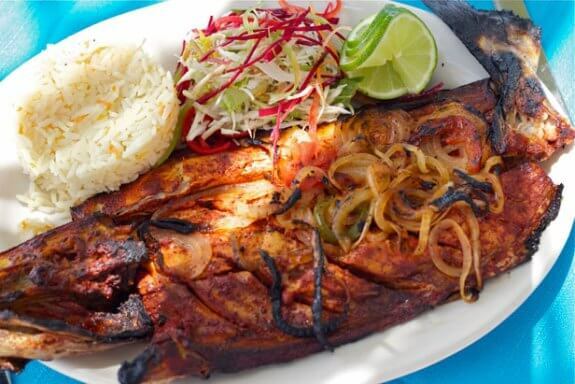 It is a whole fish marinated with adobo de achiote (paste made from seeds and other ingredients) and sour oranges, then wrapped in a banana leaf and steamed. Cochinita Pibil is prepared by marinating pork in strongly acidic citrus juice, seasoning it with annatto seed, wrapping it in banana leaf and then roasting it. Eat it on a taco or a torta (baguette). Mole Poblano is a dark red or brown sauce generally served over chicken or enchiladas. The base for mole sauce is a chile pepper and then a large number of ingredients is added including black pepper, achiote, guaje (dry roasted seeds), cumin, cloves, anise, tomatoes, tomatillos, garlic, sesame seeds, dried fruit and hoja santa (an herb). Start planning your culinary vacation at Hacienda Tres Rios now!